If you are looking for a fuel efficient, luxury sedan, the 2017 Jaguar XE 20d is perfect for you. Not only is this luxurious sedan spacious and filled with innovative technology, but it is also AWD. That means you have the capability to meet the challenges brought on by winter driving. Surprisingly, this powerful all-wheel drive sedan gets amazing fuel economy. You can expect 30 mpg city / 40 mpg highway. This Jaguar XE 20d also features the Cold Climate package which means you will enjoy a heated steering wheel, heated front windshield and heated washer jets. What could be more perfect for a cold Colorado day?! 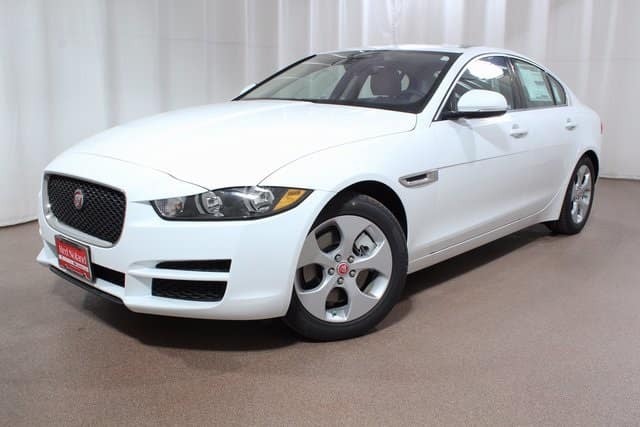 With the amazing lease deal available at Jaguar Colorado Springs, there is no reason not to drive this beauty home today! Lease this luxury sedan from only $299 per month for 36 months. This closed-end lease is available with approved credit for the vehicle stk # J977006. There is $4,995 total due at signing with $0 security deposit and dealer handling included. Tax, title, and license fees extra. Your lease will include 10,000 miles per year in mileage allowance. Offer ends on January 31, 2018.